Are you in the construction or design industry and looking for new ways to attract customers? Then you are in luck! In addition to providing our readers with great content regarding their own expansion projects, we also offer service providers and businesses the unique opportunity to advertise with us. The best part of it all is you won’t have to do any market research, as our pool of readers would fit your ideal potential market perfectly. And, if you do not have the means to create the artworks or come up with campaigns by yourself, our in-house team of marketers are ready to help. Whatever your advertising needs, Moscone Expansion is poised to get the results you need for your business to grow. We offer a wide range of advertising options and packages, and we are able to come up with tailor-made solutions for you. 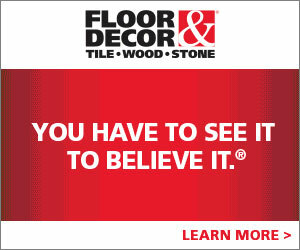 Grab your potential clients’ attention with the perfect banner ad positioned on our page. As we attract a lot of readers, you can expect an increase in visitors to your site in no-time. Our team will be able to come up with a result-driven execution strategy that suits your needs. What better way to convince potential clients that they should buy your products or services than an outstanding review? Send us a sample of your work and our team of qualified writers will come up with a great review which will be published as a feature piece on our site. Not convinced that online ads will do the trick? Why not opt for our display ad option where a crafted ad will be featured on our website’s pages and posts? We’ll be able to track and measure the results to ensure your display ad campaign delivers. Don’t get left behind when it comes to the latest in digital marketing trends! We can help you craft an excellent video ad which will be featured on our site. Our team of marketing specialists will guide you along the way and keep you posted on the results of your campaign. What are you waiting for? If you are looking to increase sales, you’ve got a brilliant opportunity to achieve that with us. Contact us to set up a consultation where one of our specialists will get all the information we need to come up with a proposal. Once you have accepted the proposal, our team will run your campaigns and keep you in the know of the results. We look forward to doing business with you!